If you’re prepared to get serious about weight loss, nothing’s safer and more effective than having an experienced, fully licensed physician as your guide. Countless men and women in the San Ramon, California, area choose LeanMD -- Dr. Michael Temkin’s wellness-focused weight loss program, to efficiently and safely shed unwanted pounds. Call or book an appointment online for customized, sustainable medical solution to weight loss. We are open Monday-Friday from 6:00am-5:00pm! LeanMD is a medically-supported weight loss program supervised by Dr. Temkin. Centered around an easy-to-follow diet plan that focuses on real, fresh foods and reduced daily caloric intake, LeanMD is tailored to help each individual safely achieve and maintain their own ideal weight. What can I eat on LeanMD? Are meals provided with the LeanMD program? The goal with LeanMD is to teach you how to eat healthfully to lose the weight and keep it off, which includes shopping and preparing your own food, so you understand proper portions and healthy cooking techniques. Meals aren’t provided on the LeanMD program -- you eat fresh, real food you create yourself using simple, easy-to-follow meal plans and recipes. How much weight can I lose with LeanMD? You can safely lose up to five pounds each week following Dr. Temkin’s LeanMD program. Of course, weight loss rates vary from person to person and may depend on your starting weight, exercise program, medical conditions, and how closely you follow the plan. Is exercise part of the LeanMD program? Exercise isn’t part of the LeanMD program. However, Dr. Temkin may recommend you incorporate an exercise plan to help you lose weight more quickly and maintain your weight loss. How often do I see the doctor during the LeanMD program? 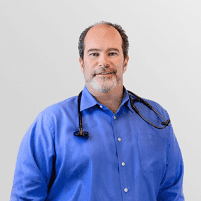 Dr. Temkin provides ongoing support and counseling throughout the entire LeanMD program. Depending on which phase of the LeanMD program you're in, the frequency of your office visits can vary, and Dr. Temkin can adjust based on what works best for you. You may be at the office weekly during Phase 1 of the LeanMD program, and Dr. Temkin continues to provide support during Phase 3, during the maintenance phase. He finds most people can relapse during this phase of any weight loss program, which is why Dr. Temkin continues to closely monitor your individual progress and help you through any challenges you might face. How is LeanMD better than other weight loss programs? LeanMD teaches you how to eat real food you prepare yourself to achieve and maintain a healthy weight — no gimmicks, no starvation, no special shakes or purchased meals. LeanMD is a diet plan you can follow for life. In addition to the diet plan, Dr. Temkin provides ongoing support, even after you’ve lost the weight. Start feeling and looking great with LeanMD’s sustainable weight loss solution. To begin your personal weight loss journey, call or book an appointment online today. Your LeanMD Care Team will utilize all available medical tools to help curb your appetite and optimize your metabolism. On average, patients lose 10–15 pounds in the first month and 30 pounds in three months. This choice requires weekly in-office visits to receive an optional lipo B12 injection and a one-month supply of prescription appetite suppressants. You will also receive additional face-to-face nutrition counseling and support during your visit. This choice gives the option of alternating between in-office visits and virtual visits by telephone. You will be required to get a LeanMD Wireless e-Scale to virtually monitor weight twice per month. Any in-office visits will include an optional lipo B12 injection and a one-month supply of prescription appetite suppressants, as well as additional face-to-face nutrition counseling and support. It is imperative to go through a proper transition to stabilize your new weight after all of your hard work during the weight loss phase. With a scientific analysis of your basal metabolic rate, we will help you to taper off of any appetite suppressant medication, adjust macronutrient ratios, increase calorie intake and physical activity, and adapt to a new lifestyle. The Sustainable Loss Membership Program will provide ongoing support and guidance to ensure long-term success for our LeanMD patients. 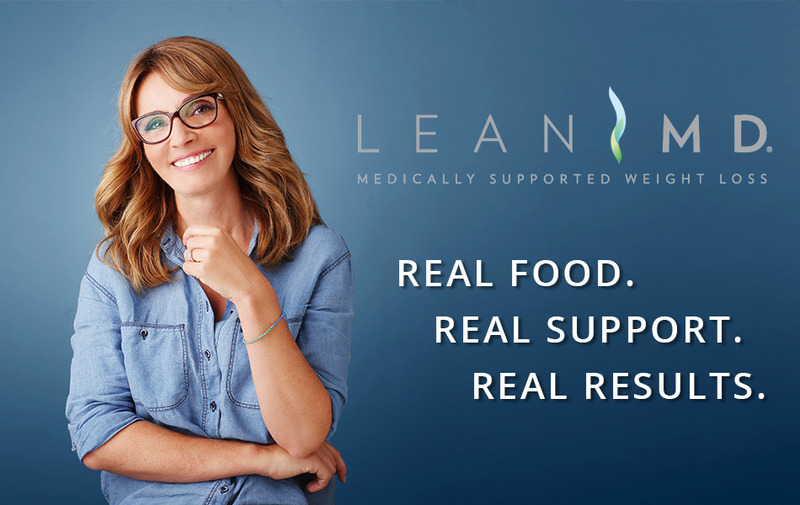 The period immediately following weight loss is at the highest risk of relapse, so the LeanMD Care Team is prepared to partner with you and overcome the challenges involving with staying on track and maintaining your new lifestyle. I have been a patient of Dr. Temkin's since July 2017. His Lean MD program is outstanding and has provided the results just as he advertised. The program is the first weight loss program that has worked for me. Dr. Temkin and his entire staff are the most efficient and friendliest I've ever worked with. The entire office area is well organized and very clean. I love that everyone that works there is so friendly, but yet, very professional. Thank you for providing great customer service. Lean MD is the first weight loss program that has ever worked for me. If you stick to the program you will see lasting results! It is truly a lifestyle change that I can sustain. Dr. Temkin and his staff couldn’t be better too!